# of Pages: 328 p.
Aislinn has a secret that only her grandmother knows and that is that she is able to see faeries. All of the women in her family have always been able to do this and so Aislinn was trained at a young age to pretend like she cannot see them, because if the faeires know they are seen they will torment the human who has that gift. Unfortunately, one day Aislinn notices that two faeries keep following her and becomes alarmed enough to tell her best friend, Seth. Seth tries to help her figure out what the faeries want and how to get them to leave, but of course the problem is much more complicated than they anticipate. Keenan is the Summer King, but his power has been bound for many, many years. Unless he can fulfill his mission and find the girl destined to rule alongside him he will never get his power back and catastrophic things will happen to everyone in the world, faeries and mortals alike. Standing in his way,is his mother, Beira, who is the Winter Queen. She is a cunning and deceitful villain who will stop at nothing to win. 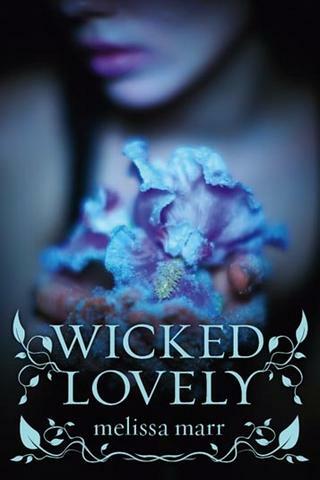 Fans of any fantasy series such as Twilight will enjoy this book. The plot is unique and original and contains a lot of mystery, action, and adventure. There are many rules in place that the characters have to abide by in order to win, which makes the plot complicated and unpredictable. So far it has already caught the attention of many students and I think will continue to pull in readers as word spreads. A must read for fantasy lovers.